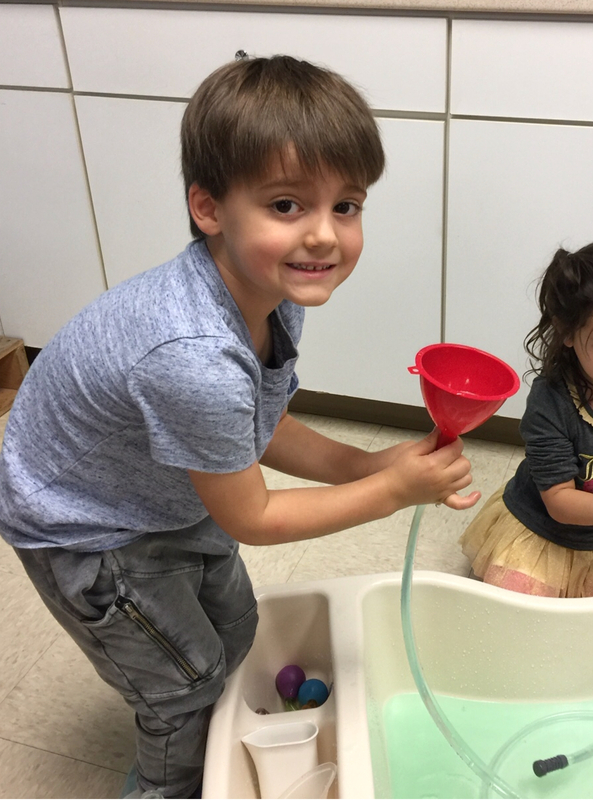 STEM is a new afternoon enrichment at West Side Nursery School. It is an exploratory group program where the children have an integral part in planning, constructing and experimenting. Playing with their inventions is paramount! Solving problems, asking questions and nurturing curiosity about the way things work is the focus. In order for STEM to be “STEM”, it must include at least 3 of the 4 content areas. The acronym STEM stands for Science, Technology, Engineering and Math. Specific content areas include physical science, life science, earth and space science, numbers and operations, algebra, geometry, measurement, data analysis and probability. Children use tools for observing, experimenting and measuring. Tools for young children include balance scales, scissors, magnifying glasses, pulleys, pendulums, wheels and wedges. This is technology for young children! Engineering is a large part of STEM. The children build, create and construct with many different materials. New vocabulary is taught with each lesson. Every week, we Brainstorm, Design, Build, Analyze, Modify and Share (BDBAMS) our work! 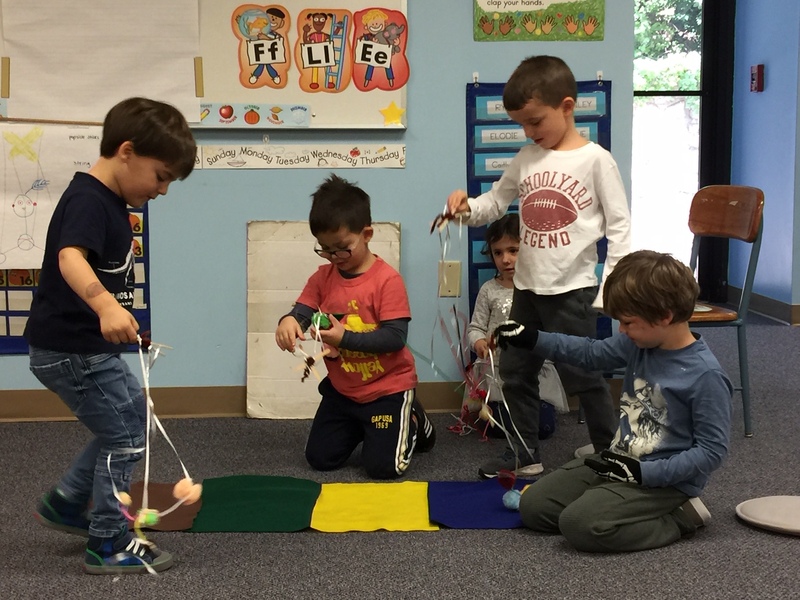 Vocabulary such as force, gravity, buoyancy, friction, speed, cause/effect and balance are taught through fun weekly projects. 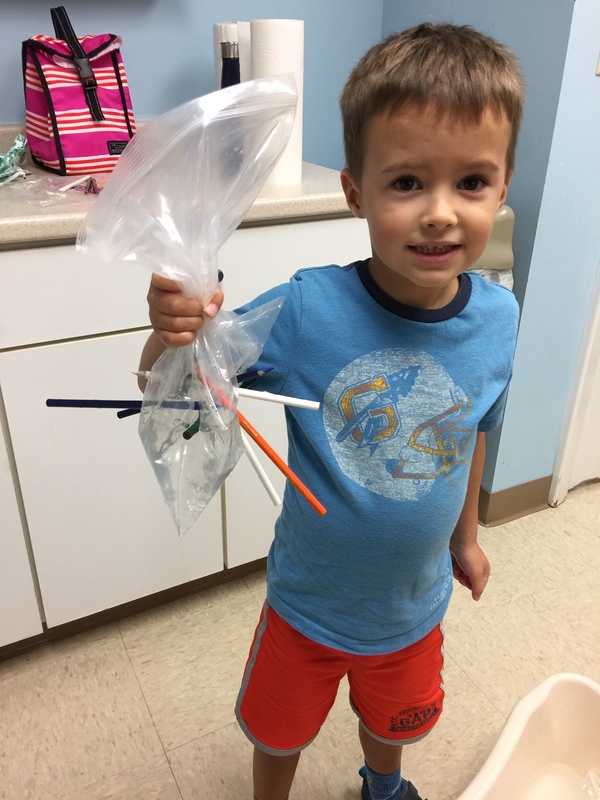 We build a latch to keep Goldilocks out of the Three Bear’s house, create a Humpty Dumpty that will not crack after his fall, design an Itsy Bitsy Spider and send her down the water slide as well as solve the mystery of how to attach pencils to a bag full of water with only a bag, water and pencils!